Culture | Cafe with a large hall ideal for weddings. 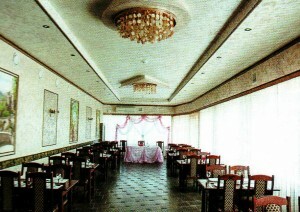 Cafe with a large hall ideal for weddings. Example arrangement of tables at a wedding celebration.The fountain at the old cafe coolness in the heat source and a place where children can play.